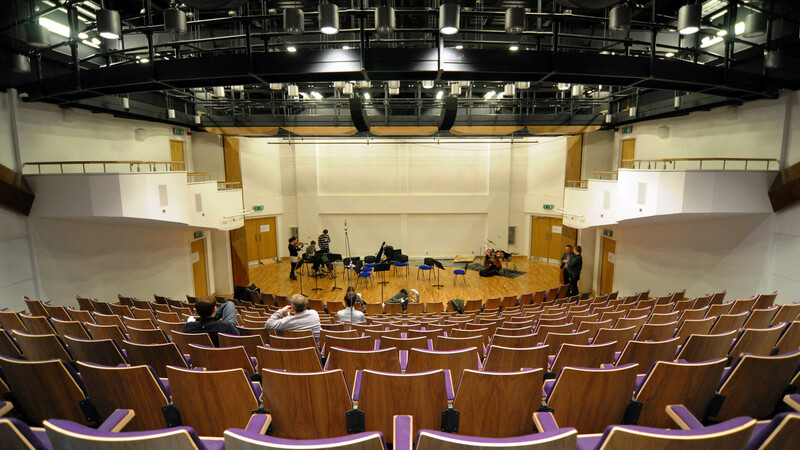 The Capstone Performing Arts Centre contains a 290-seat concert hall, recording and edit suites, music practice rooms and ensemble rehearsal rooms. 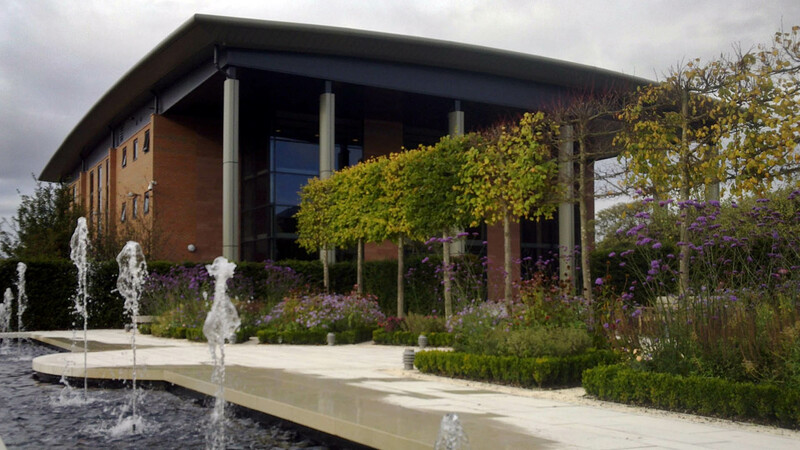 It is part of Liverpool Hope University but is also used for public concerts in conjunction with the RLPO, for whom we had previously designed the Friary rehearsal and recording centre. 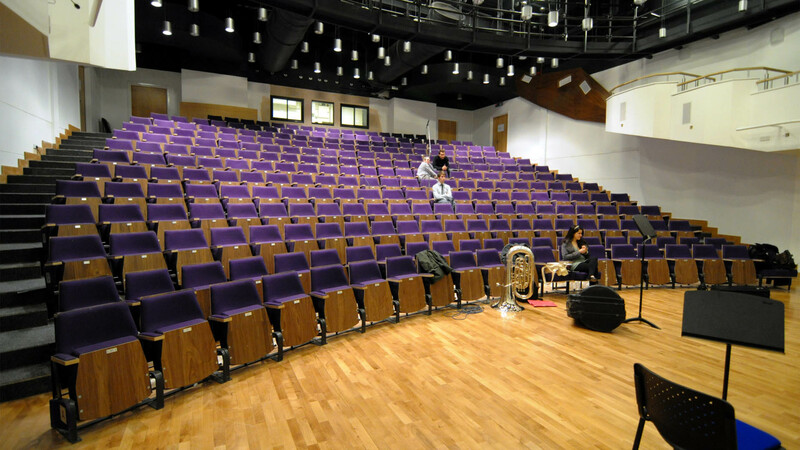 Our appointment came relatively late in the design process, requiring quick work from our theatre consultant Michael Holden to shape the ‘flexible’ rehearsal and performance space at the centre of the building into a dedicated concert hall with permanent raked seating and cantilevered box galleries. The height of the auditorium was limited by planning restrictions, meaning that the volume was slightly too small to provide an optimum acoustic for unamplified music. We therefore designed and commissioned an electro-acoustic enhancement system to provide increased reverberation. We also designed acoustically reflective diffusing surfaces around the concert platform to provide strong early reflections and support for musicians on stage. 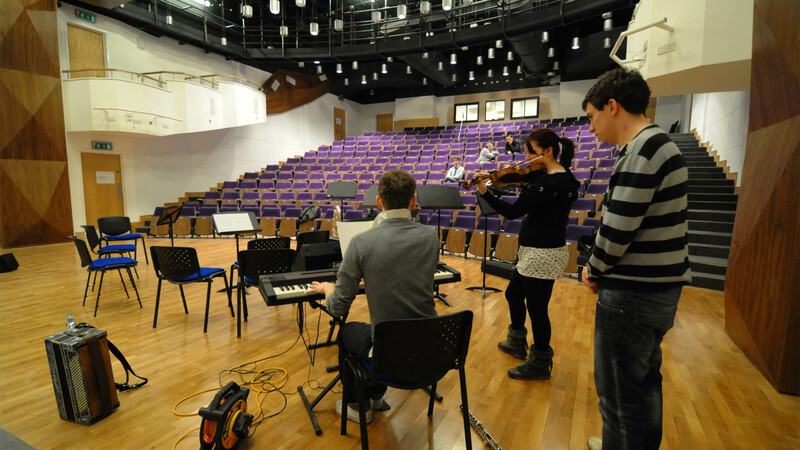 The music technology suites and ensemble rooms are located directly beneath the auditorium. This required a very high standard of sound insulation for the auditorium floor as well as lightweight “Floating room” designs to reduce noise transmission through the structure. The centre opened in March 2010 with a week of concerts and events including a gala concert led by RLPO Chief Conductor Vasily Petrenko, and ending with a recital by pianist and visiting professor Joanna MacGregor, who described playing the University’s new Steinway D grand piano in the hall as ‘a very good marriage between piano and room’. The hall is open to the public during the evenings and now hosts a busy and diverse programme featuring wide range of music, drama and multimedia performances.